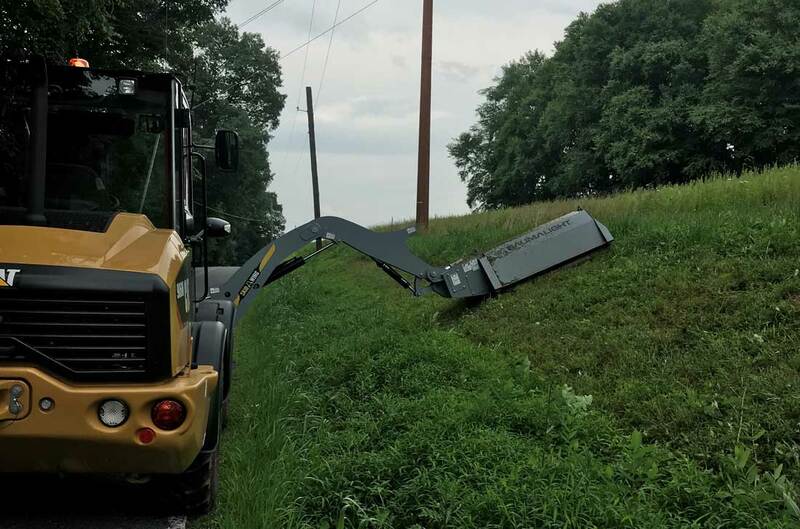 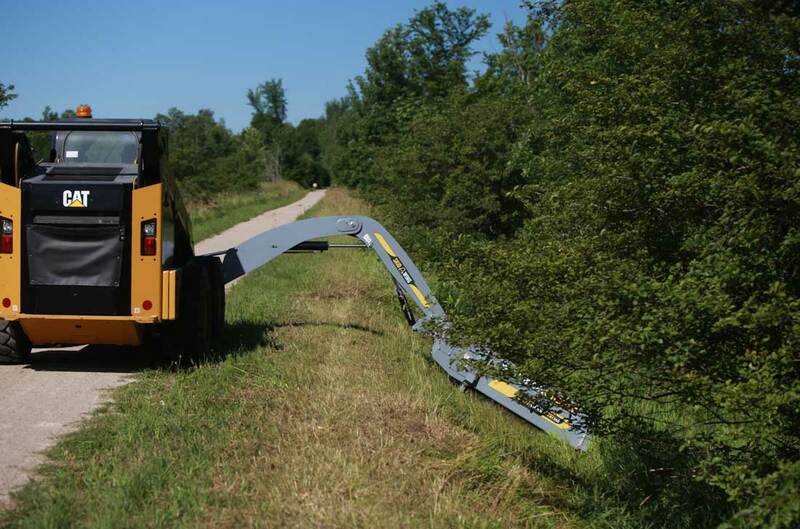 The Skid Wing is a skid steer boom mower that features a variable angle reach and with 40 hardened 200 Series flail teeth, the skidsteer boom mower is ideal for mowing heavy grass and mulching light brush in ditches with a skid steer. 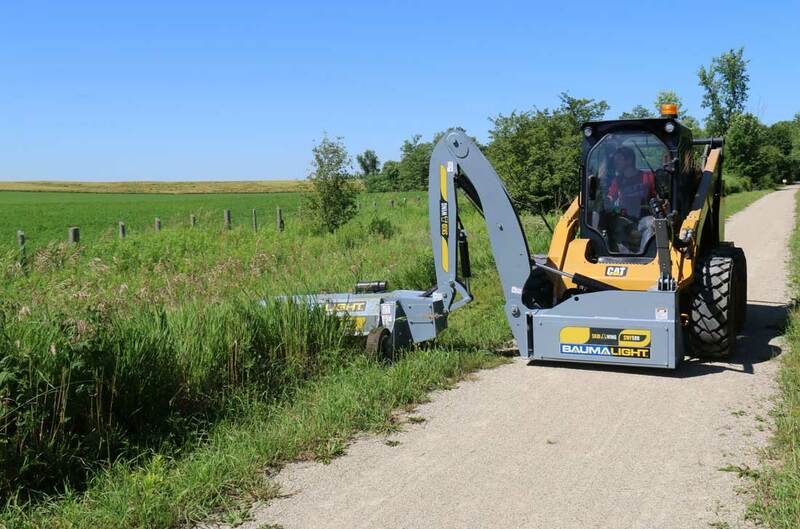 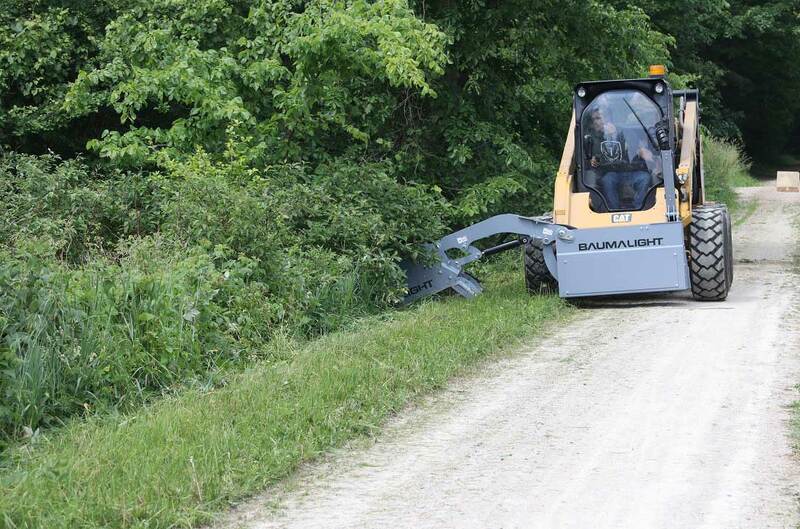 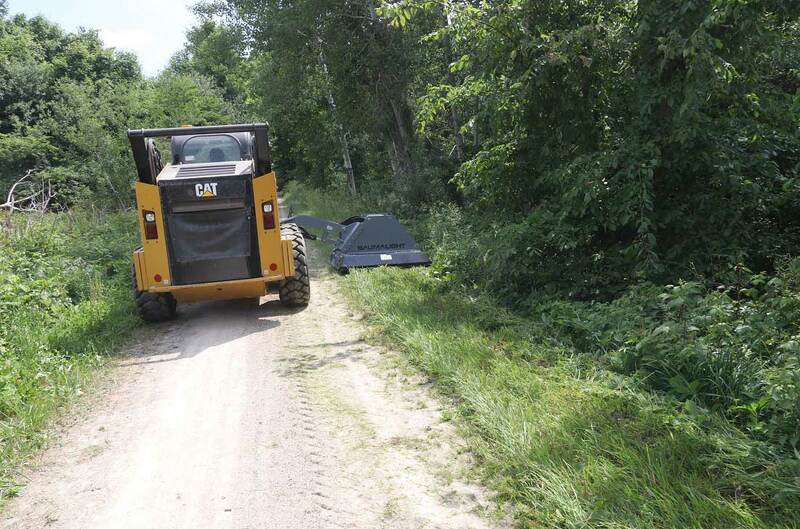 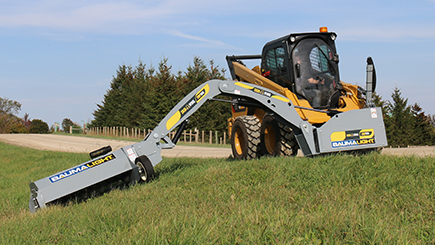 With different motor options available on the boom mower we can match to any skidsteer for roadside and fence line vegetation maintenance. 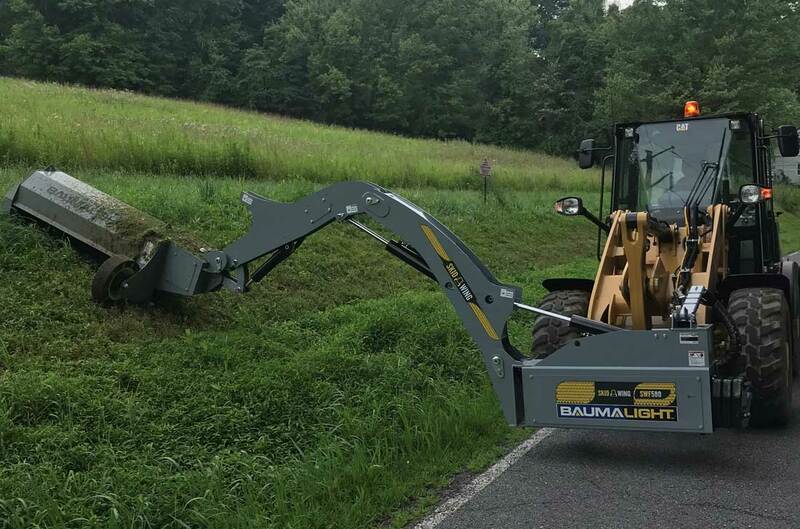 Contact us for more details if you have a special request, we are very open to customizing to ditch mowing and mulching needs. 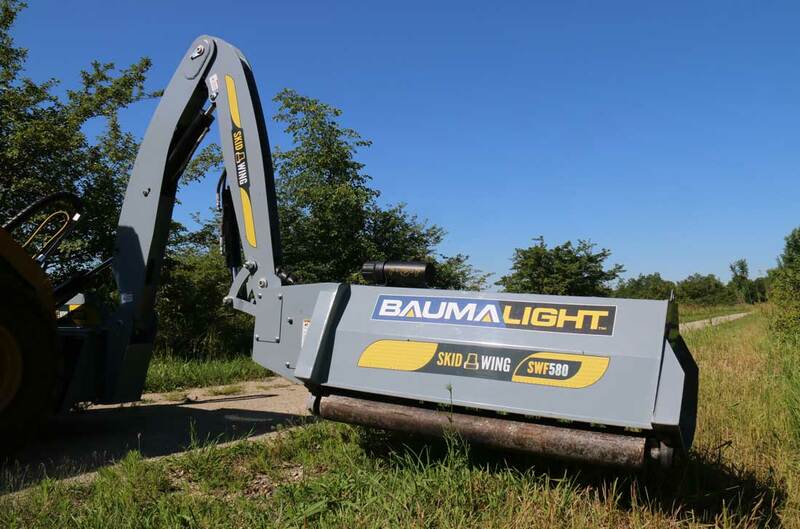 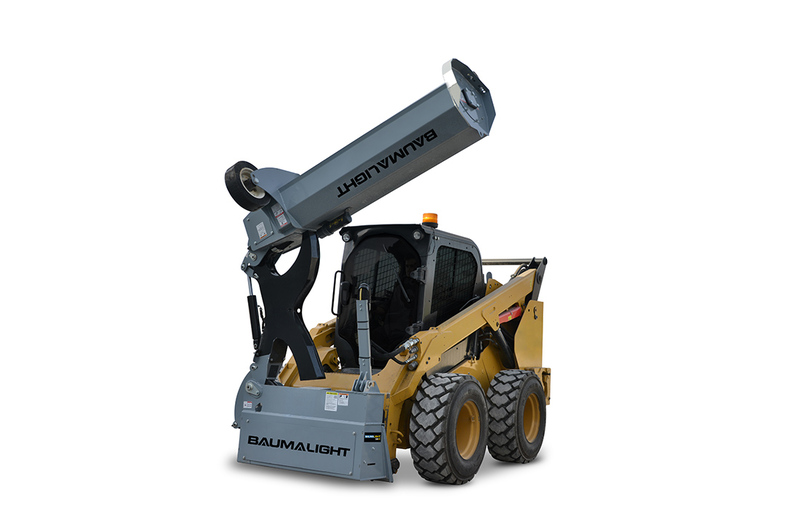 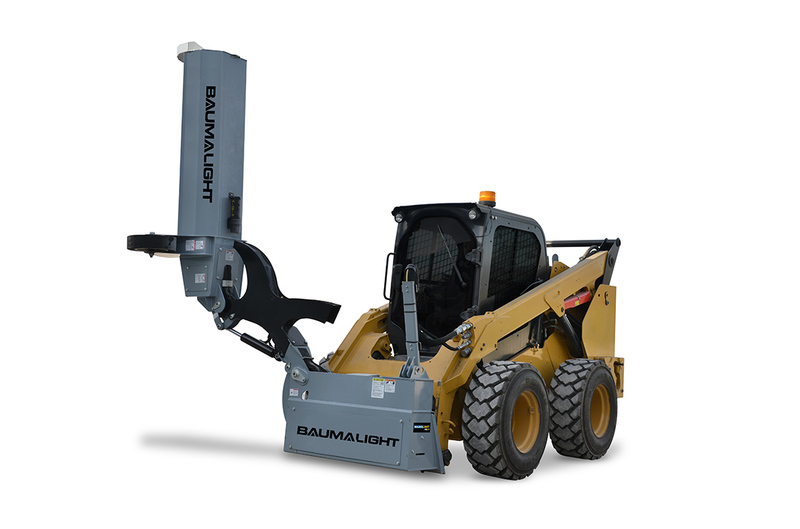 Baumalight signature curved boom allows for extra clearance when you need to get over obstacles. 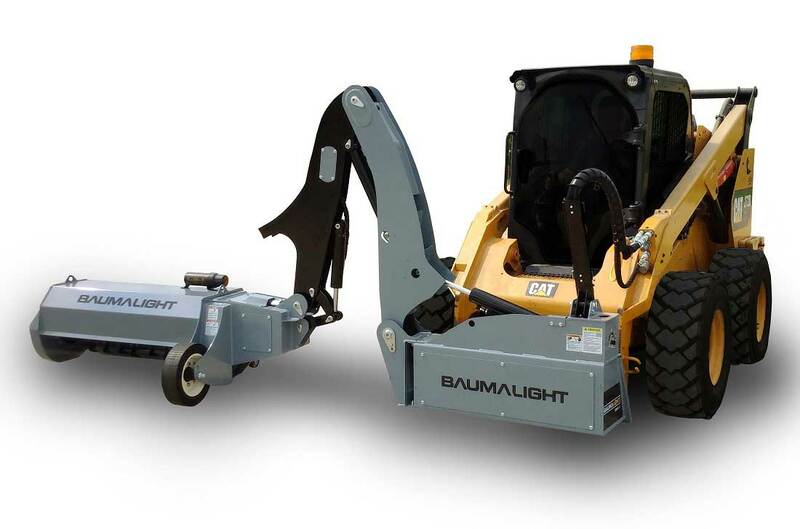 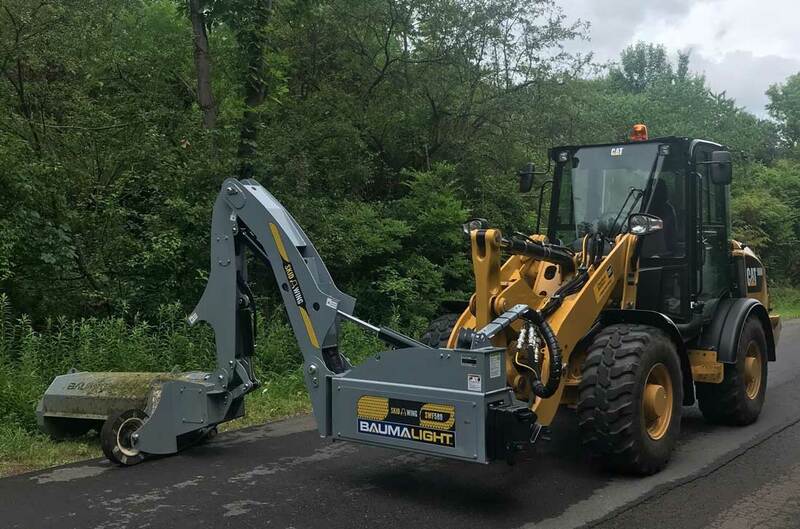 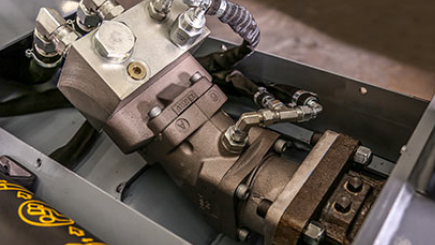 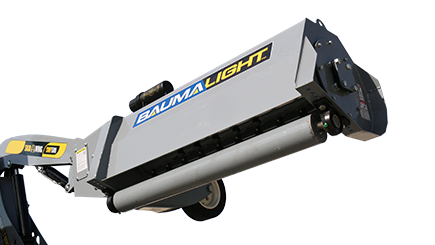 For simple in cab control, the DSA530 is available with Baumalight's Auxiliary Electrical Connection. 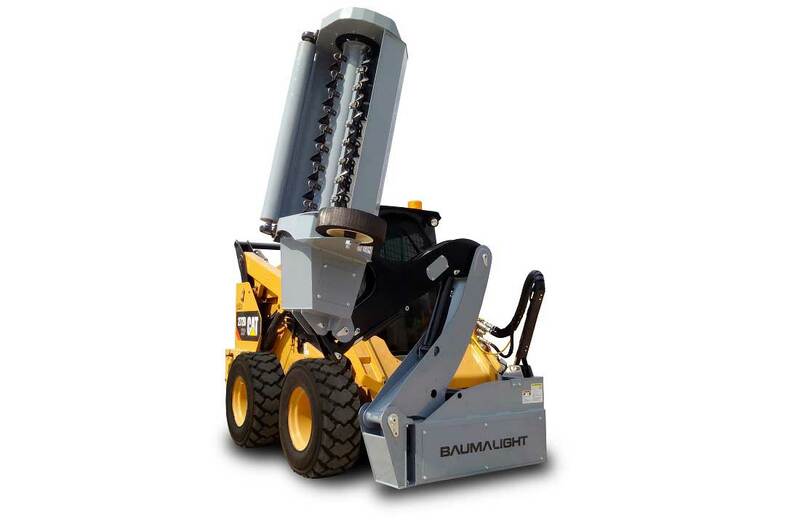 This connection gives you simple quick connections and access to all the attachments functions using your machine's own controls. 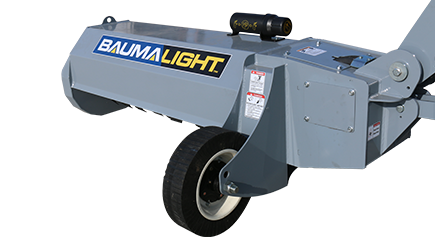 The boom is compact enough for travel on tighter paths and trailering. 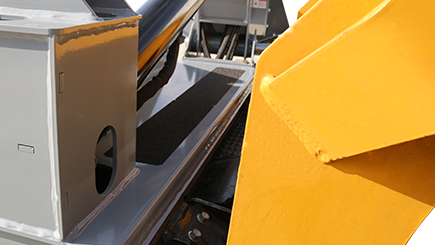 For ease of entry and exit from the cab an anti-slip strip gives sure footing. 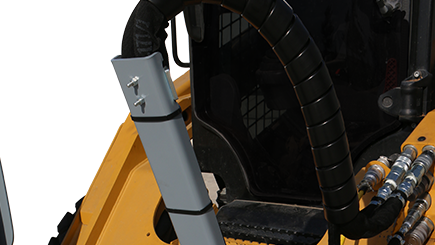 Front and rear adjustable mounting points allow you to control how close you cut. 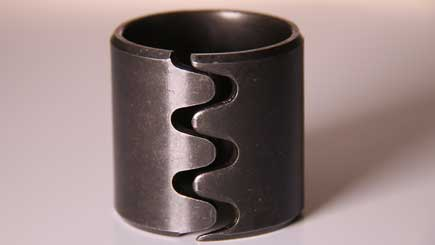 Keeping things level is a heavy duty steel roller. 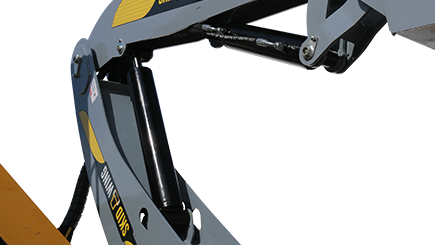 Large cylinders control the arm for quick flow so you’re spending less time adjusting positions and more time rolling and cutting. 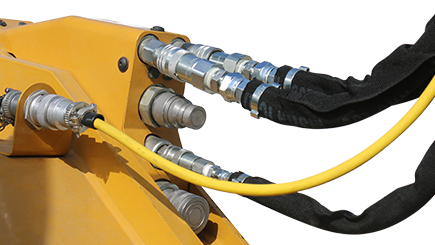 Shear pins on the boom are mounted in 4 places so if you ever run into trouble your protected from large scale damage. 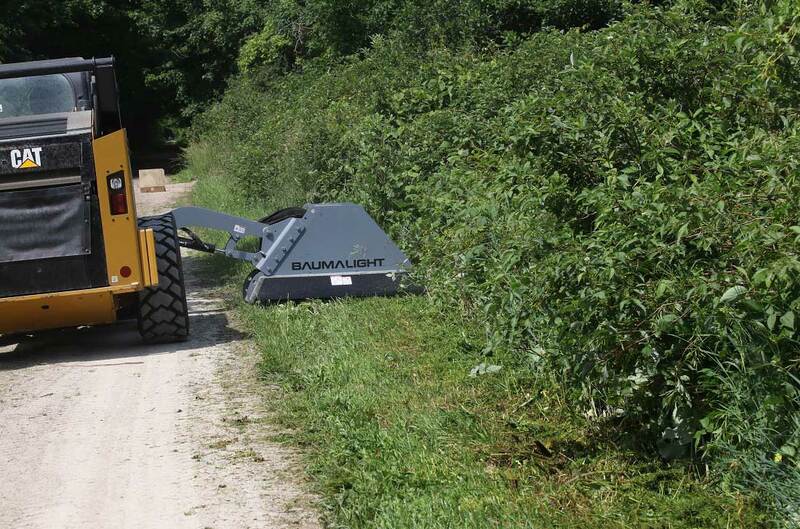 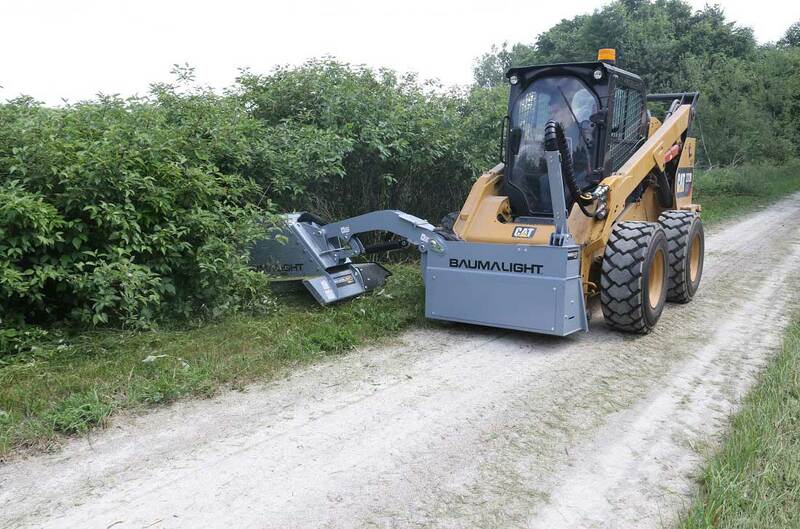 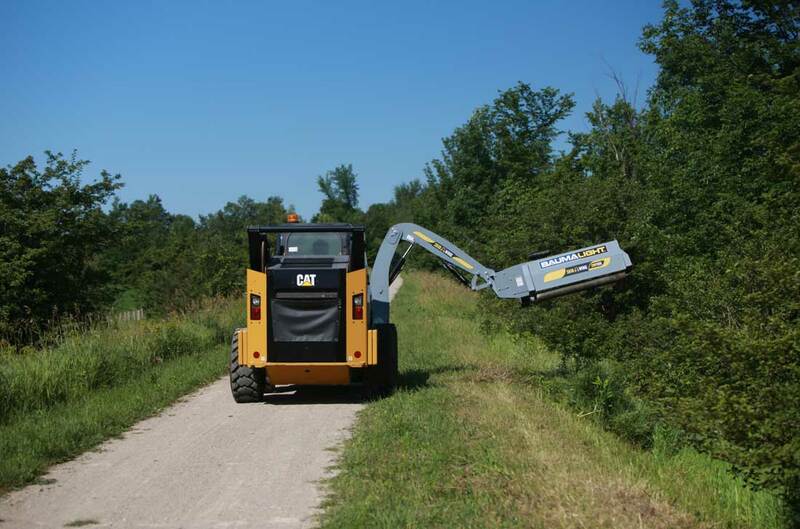 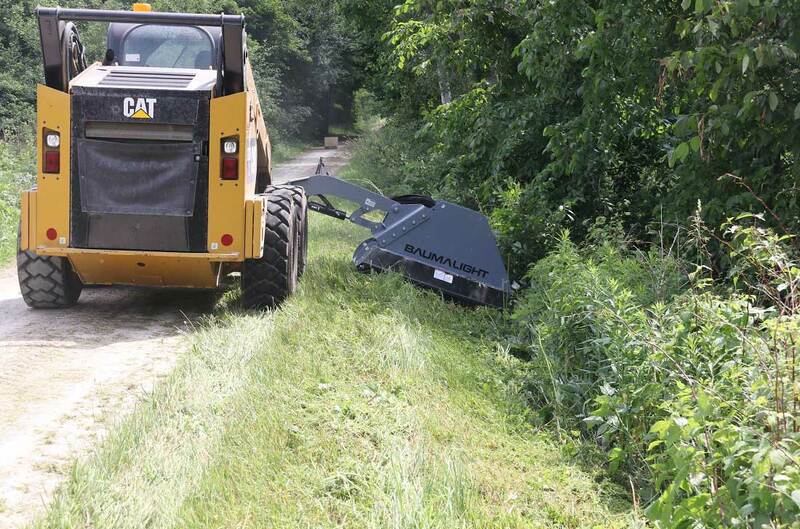 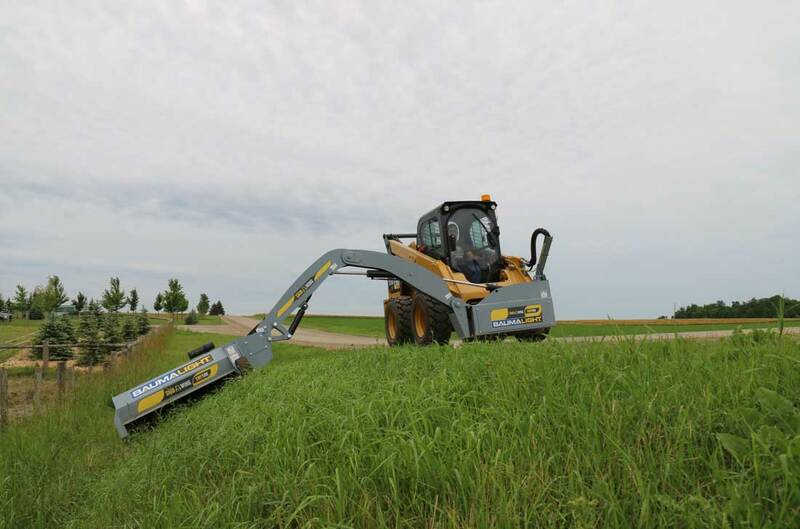 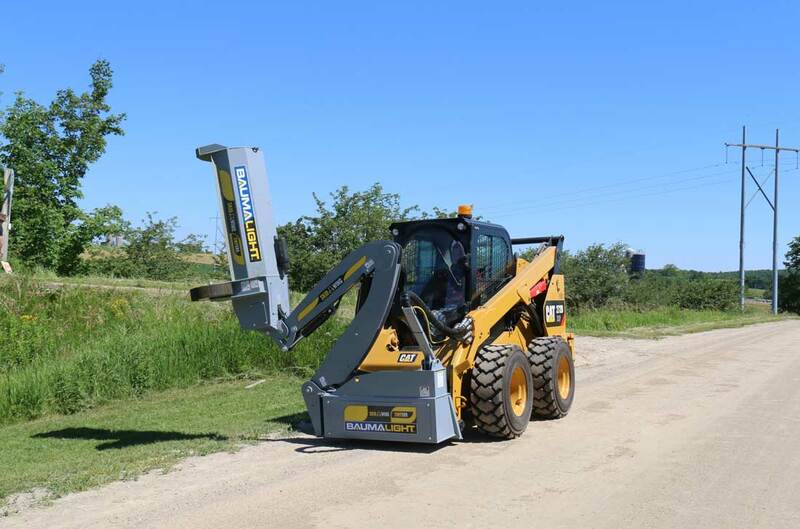 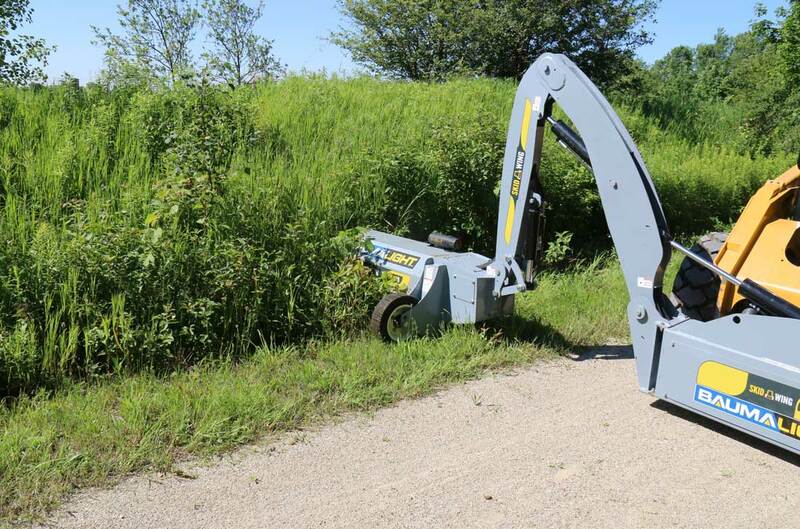 Currently available on our 200 Series Brush Fire mulchers, these flail type cutters are an economic and efficient way to beat back heavy vegetation and light to moderate brush. 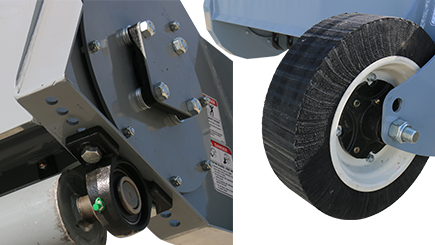 Ideally suited for small carriers, these flails provide good cutting performance and great mulching. 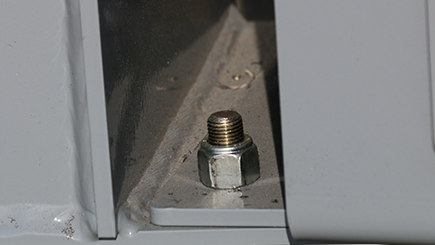 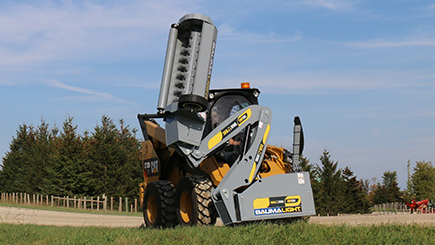 Bolt-on replaceable for quick and easy servicing, even in the field. 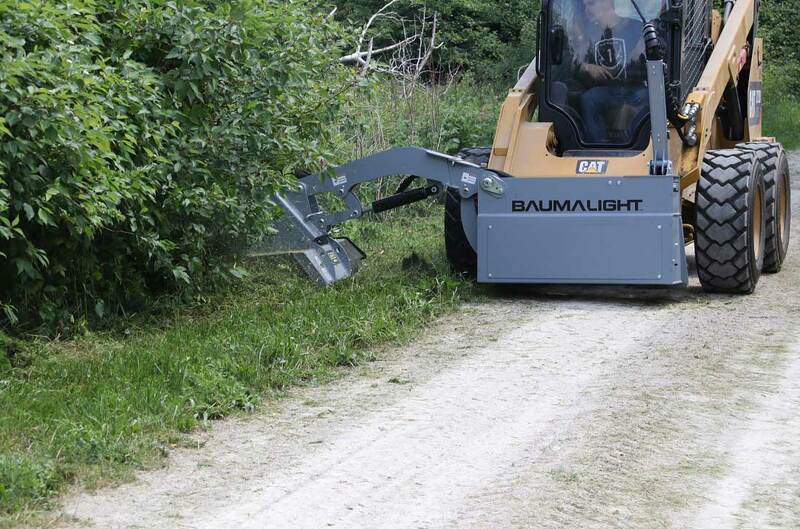 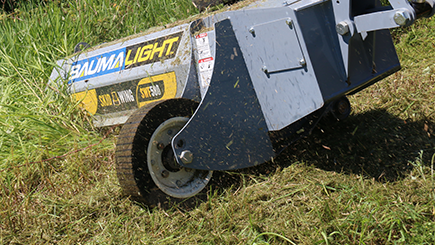 Upgrade to our Heavy Blade Teeth and instantly increase your mulching capacity. 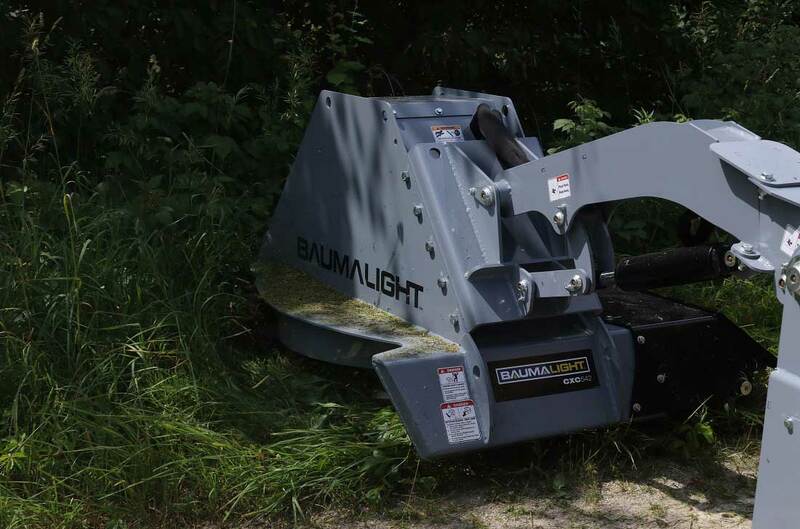 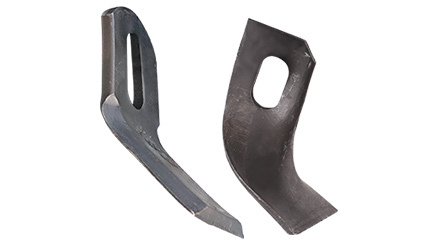 These upgraded heavy duty blade teeth are 6mm thick and will allow you to double your brush size mulching capacity without any other equipment adjustments required. 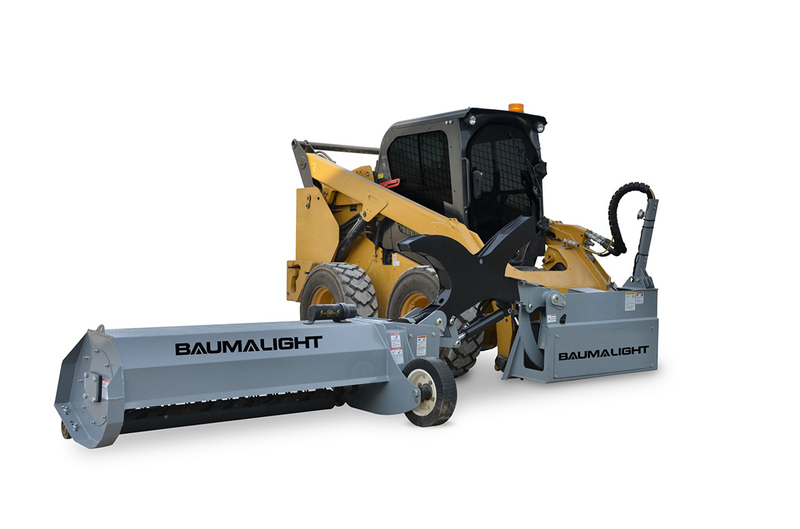 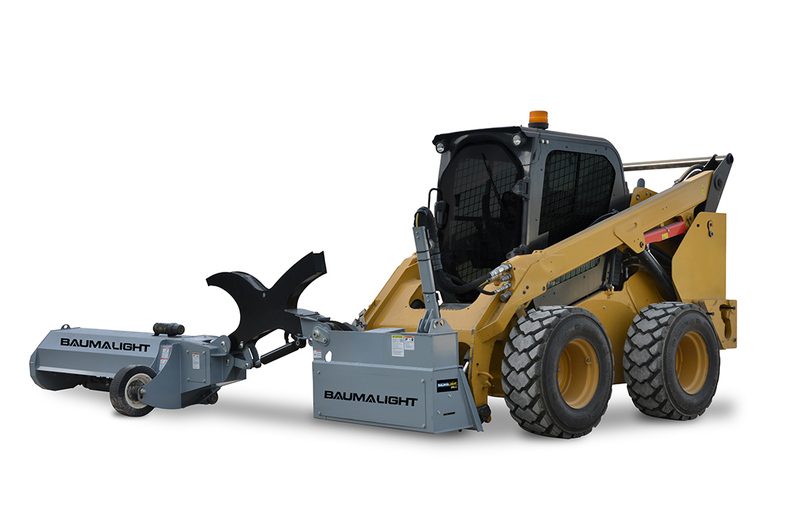 The durable solid flat tire achieves a floating deck effect which takes the unit weight off the skid steer and with adjustable height positions you can change depending on cutting application. 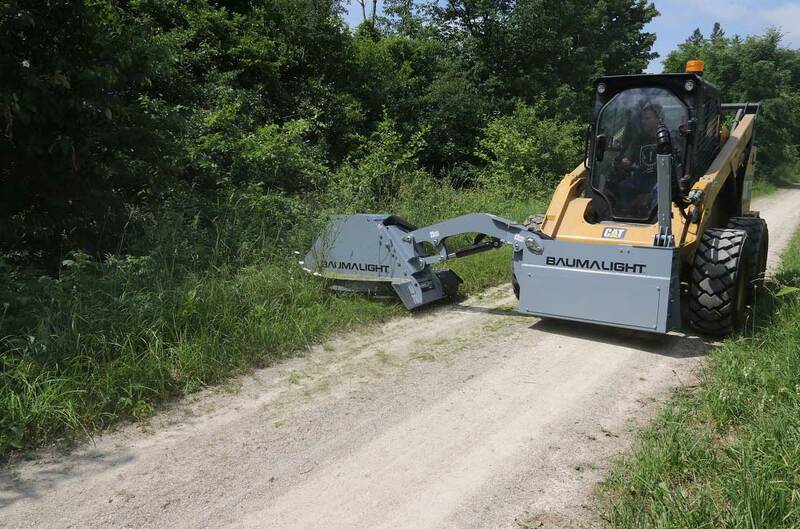 * Will consider to build anything requested. 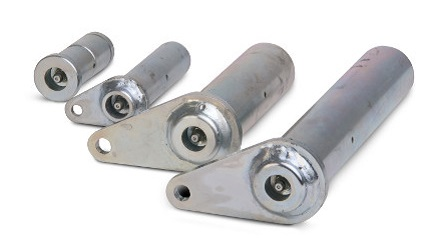 * Gear motors are much more cost effective but lead-time might be longer.